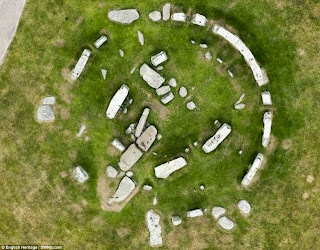 "Some of Stonehenge’s megaliths came from Wales.Exactly where remains one of the key issues about the monument open to scientific solution, yet not fully resolved. Rob Ixer and Richard Bevins are on the job"
A small curiosity: the ancient divisions of England, the hundreds seem not to respect natural or man made features when it cam to their boundaries. 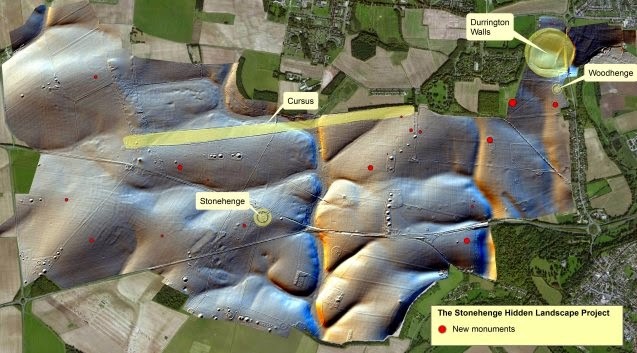 An example is the hundred of Underditch which used to contain Stonehenge. Drawn up as they were before maps I always imagine they were described as "from this rock to that hill" etc, but maybe not. 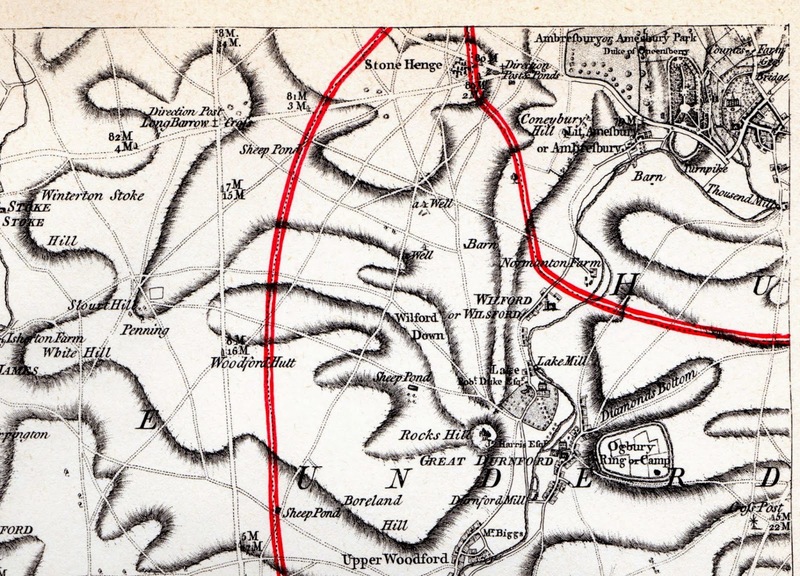 The red lines denote the hundred boundaries - taken from Andrews' and Drury's Map of Wiltshire 1773 - Underditch Hundred runs up from the lower right. Fig 6. 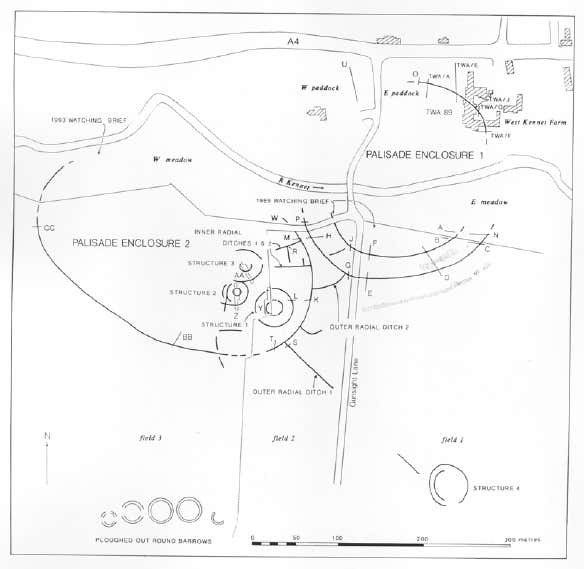 Plan of the palisade complex from Whittle (1997), showing extent of features asmapped from air photographs, geophysical survey and excavation. 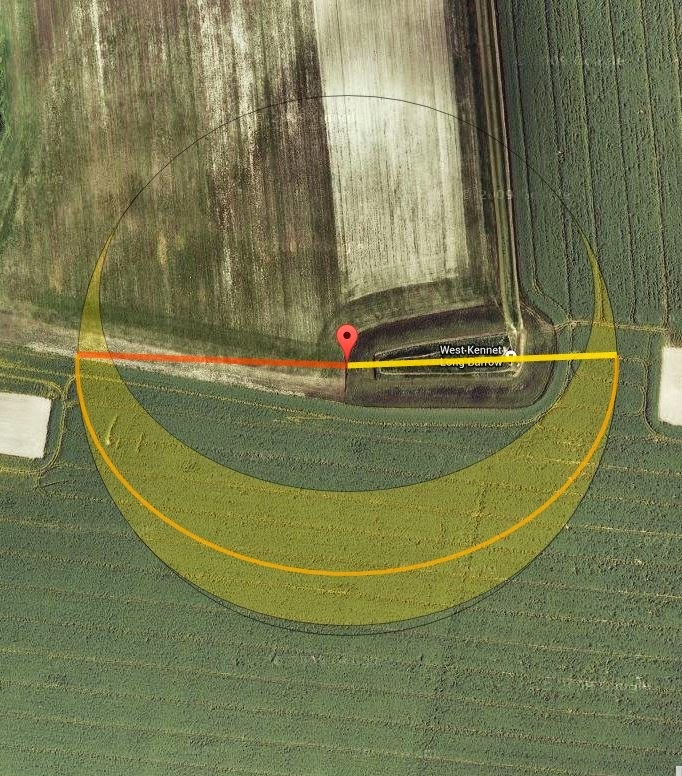 The variousexcavation trenches dug between 1987 and 1993 are also marked. 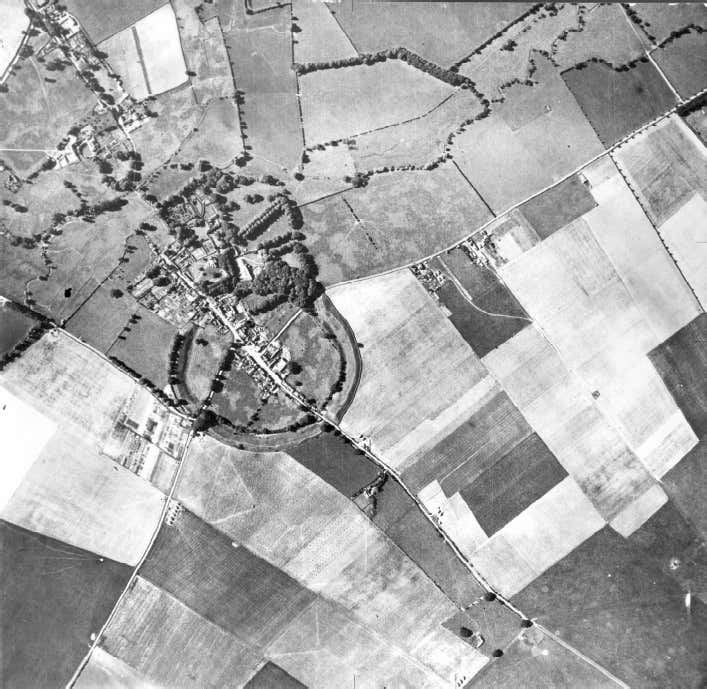 Figure 5: Vertical view of Avebury taken by the RAF on 2nd September 1929, a few years before Alexander Keiller set to work on the henge and village. (NMR Crawford Collection CCC 8952/02421). Most photos by & copyright Simon Banton - Click to enlarge. 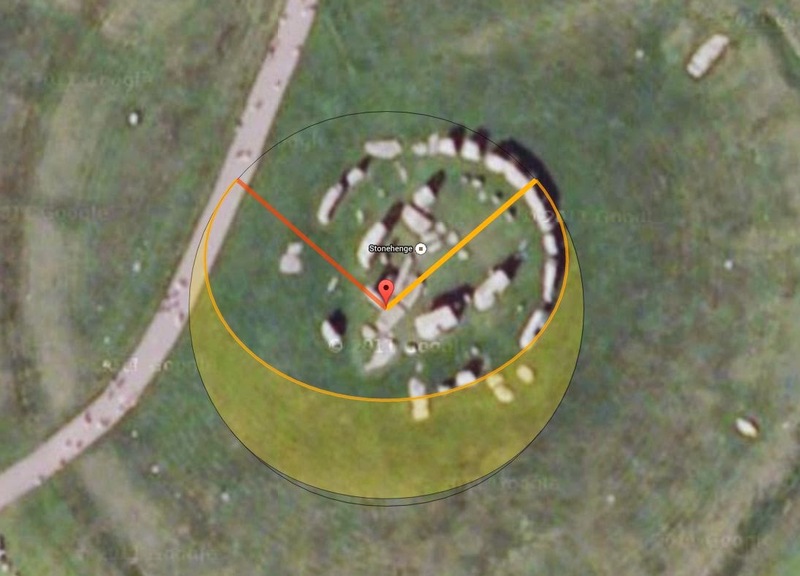 Mr Daw, who farms at All Cannings, near Devizes, and who created the first "Neolithic" long barrow to be built in the UK for 5,500 years, also works part-time at Stonehenge. He said one of the most popular questions asked by visitors is 'how were the giant stones moved?'. 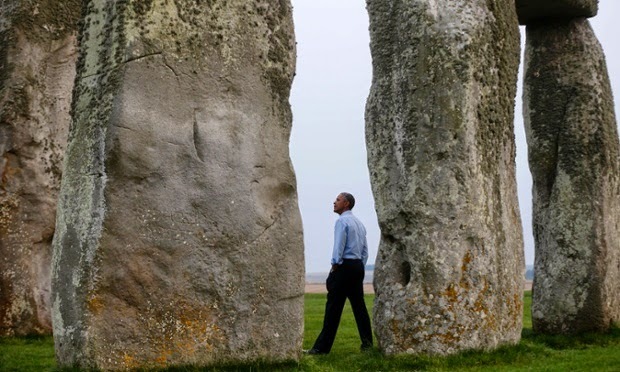 "When Julian Richards mentioned there was a life-sized replica of the largest stones at Stonehenge that were looking for a home that we could do some experiments on I said 'let's do it'." Mr Richards said: "Over the last 20 years I've had lots of ideas come to me from different people from all over the world saying, 'there's a much better way of doing it, we know how it was done really, you've made it too complicated'." He said the new project would get together some of the original team to test out the new theories. "We're going to have to get at least 200 people together for about a week to make this happen." 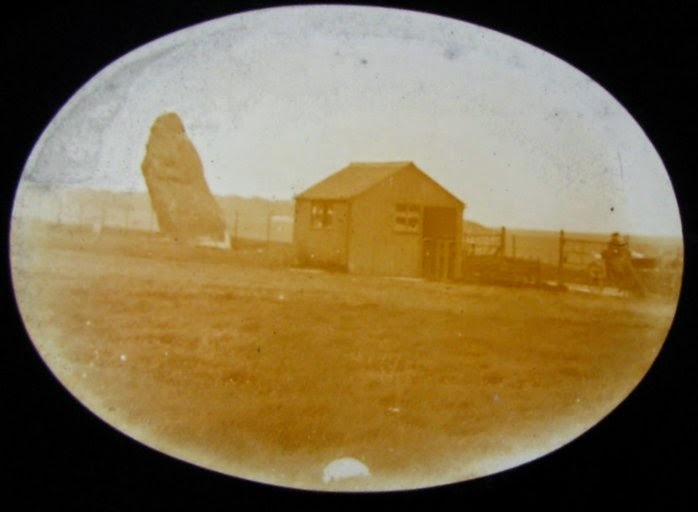 Mr Daw added: "The first thing is to collect the stones from Salisbury Plain where they have been languishing for the past 20 years and get them back to my farm," said Mr Daw. "Hopefully next year we'll get some teams of people [to take part in the experiment]"
"The experts certainly think they know more. Whether they actually do know more is an interesting question. "Without trying all the wonderful ideas of how you do it Neolithic style, just using man power - no wheels, no draught animals, no machinery - we can't tell what is practical and what is just fantasy." 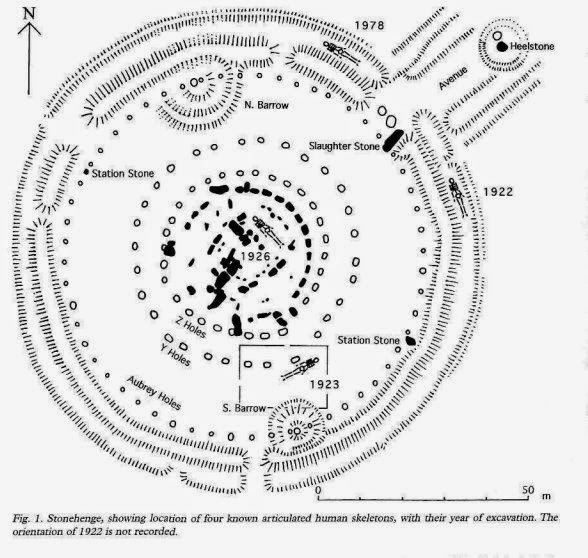 Montague, R., Cleal, R., Walker, K.
This volume represents a detailed discussion of the structural history of Stonehenge, arrived at by the integration of evidence from primary records of excavations carried out between 1901 and 1964. 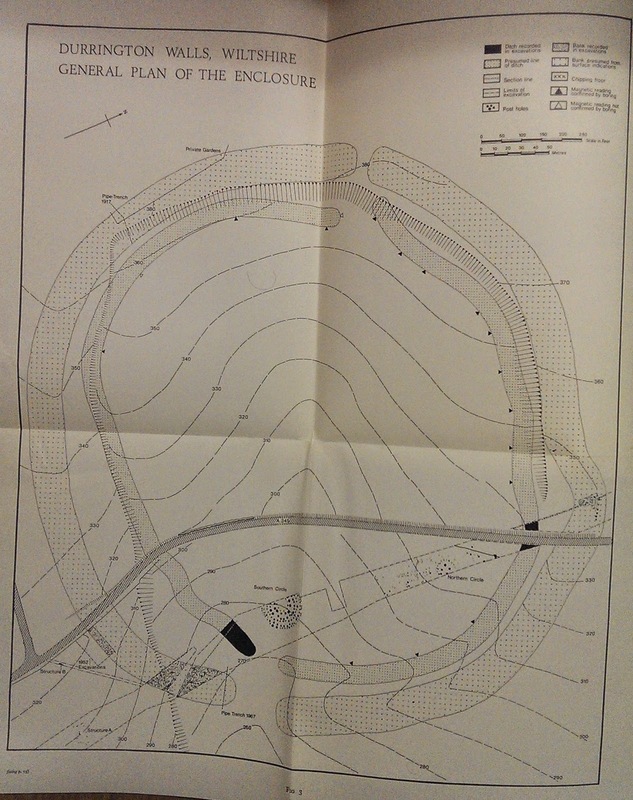 These major campaigns of excavation and recording include those of Prof William Gowland (1901); Lt-Col William Hawley (1919-26); Profs Stuart Piggott and Richard Atkinson with J F Stone (1950, 53-5,56,58 and 64) and some smaller, previously unpublished campaigns as well as more recent, small-scale excavations which are already published. 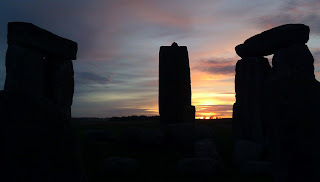 The evidence for the use of the monument from the Middle Neolithic to the present day is discussed in terms of its landscape and social settings. 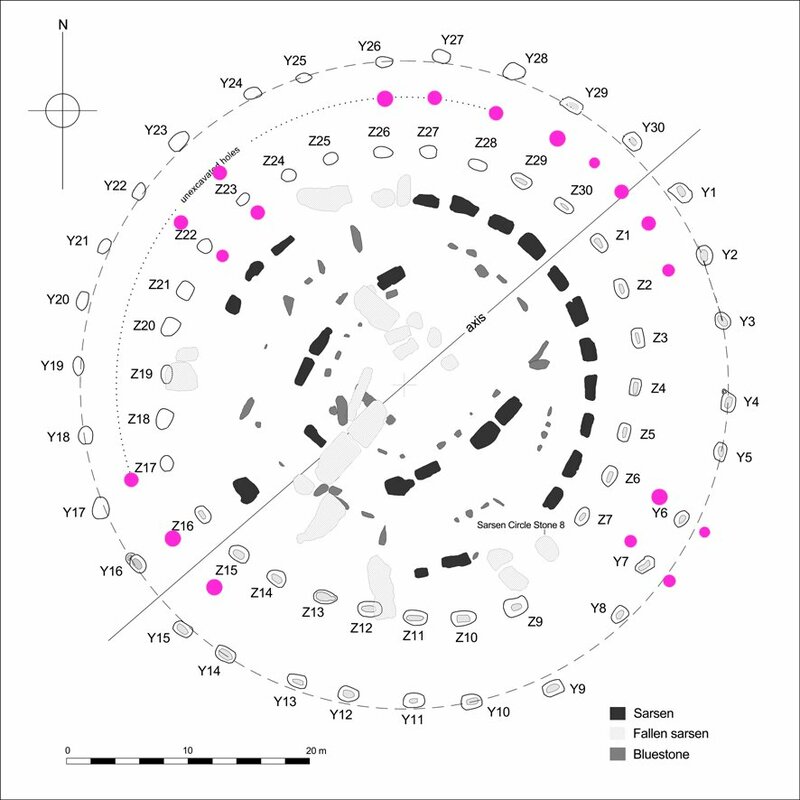 The evidence for the rephasing of the monument, including artefactual and ecofactual assemblages, details of the radiocarbon dating programme, geophysical surveys, transcripts of all available field plans, sections, and stone elevations is presented together with a variety of summary lists, concordances, and a guide to the site archive. 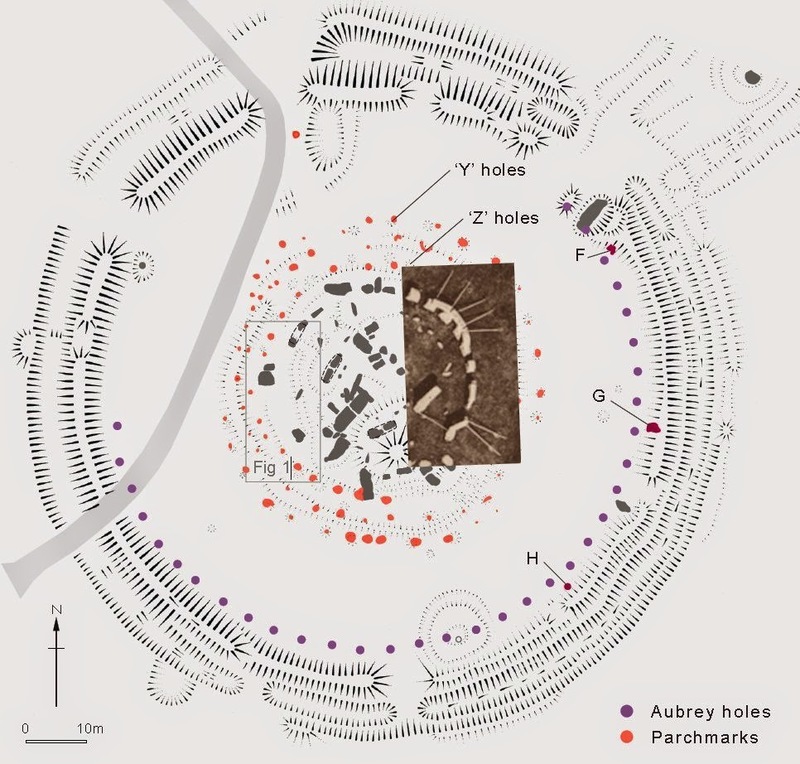 A new suite of radiocarbon determinations has been obtained which redefines our understanding of the sequence of construction and use of the monument and augments the surviving archaeological evidence. This is Volume Three in a series of eight reports, which describe the formation of the national collection of ancient monuments and historic buildings from 1882 to 1983 in the context of legislation and other available means of protecting heritage. 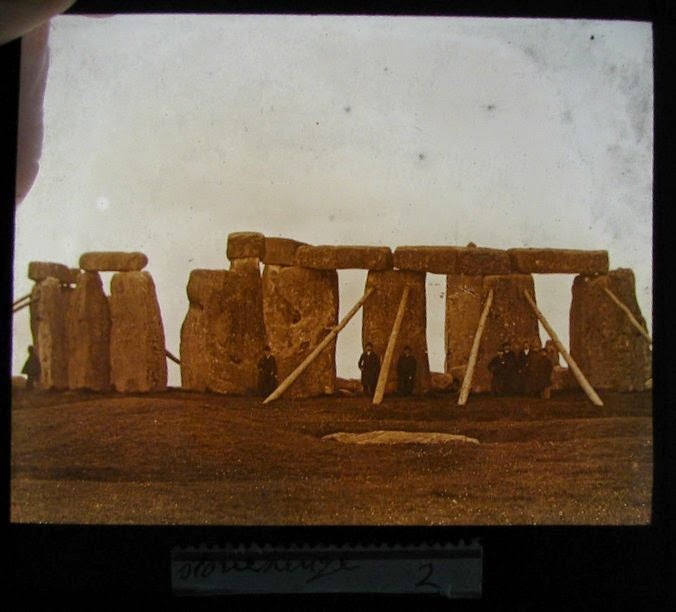 The report sets out the story relating to the acquisition and protection of Stonehenge, drawing upon the guardianship files and Pitt-Rivers papers held by English Heritage and the National Archives. 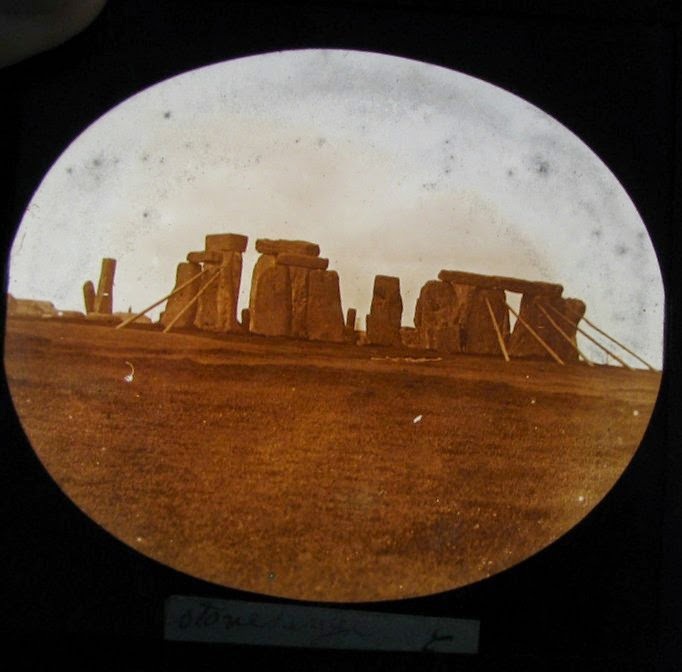 An account is given of the efforts of the first Inspector of Ancient Monuments, Lieutenant General Augustus Pitt-Rivers, to secure the protection of Stonehenge following the 1882 Ancient Monuments Act. In the early 20th century the monument was enclosed for the first time. However during the First World War it suffered damage. 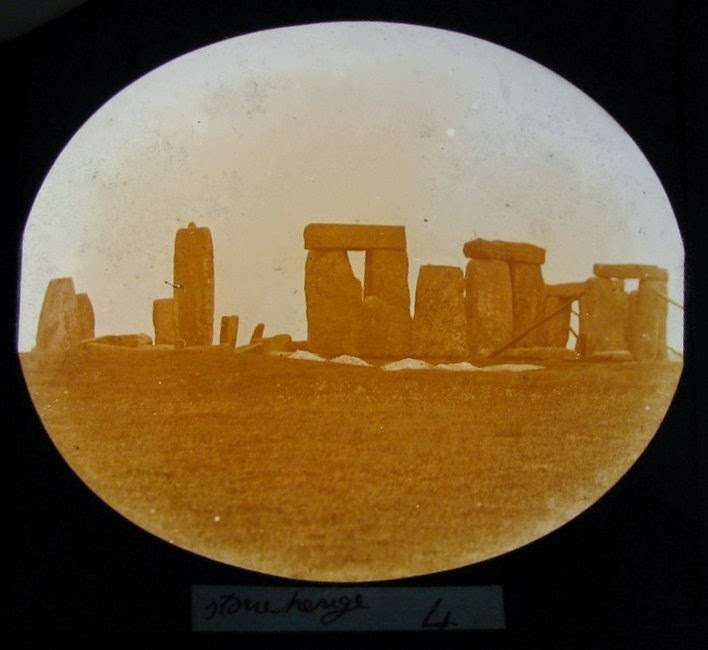 Stonehenge was gifted to the Nation in 1918. Thereafter the Office of Works managed a series of excavations and restorations of the monument in the 1920s and 1950s. 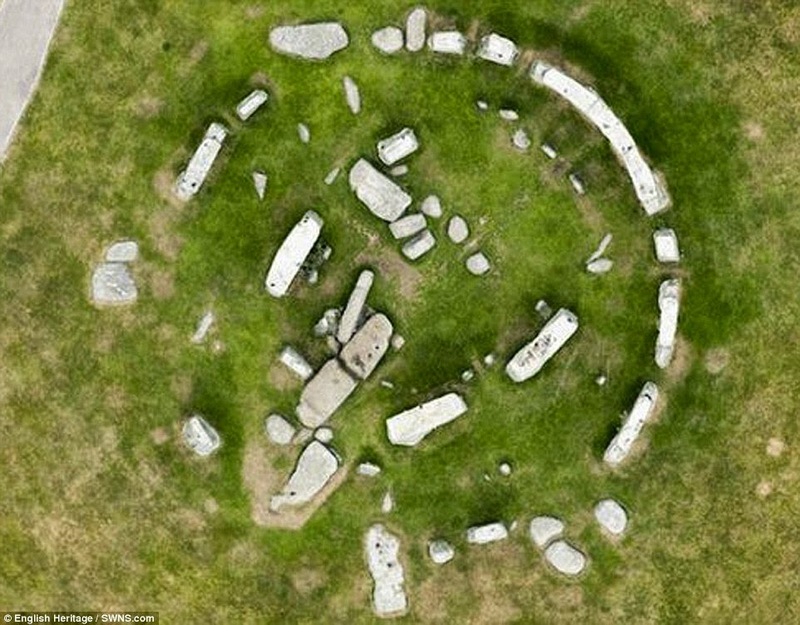 Consideration was also given to the setting of Stonehenge. The surrounding downland was purchased and vested in the National Trust in 1929. 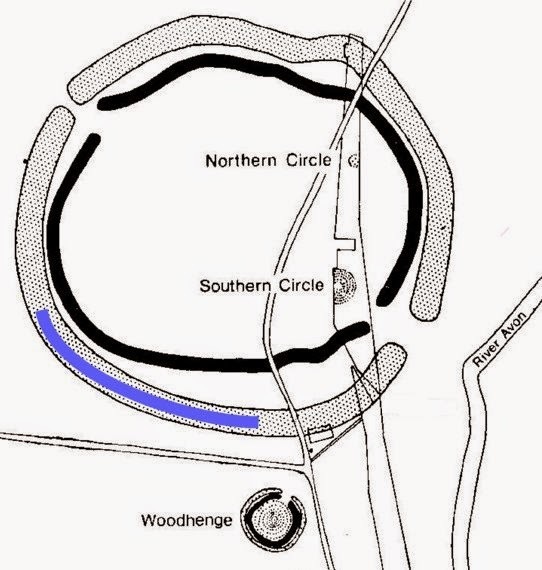 Thereafter efforts were made to restore Stonehenge to its former wilderness, although this was at constant conflict with its role as a visitor attraction. 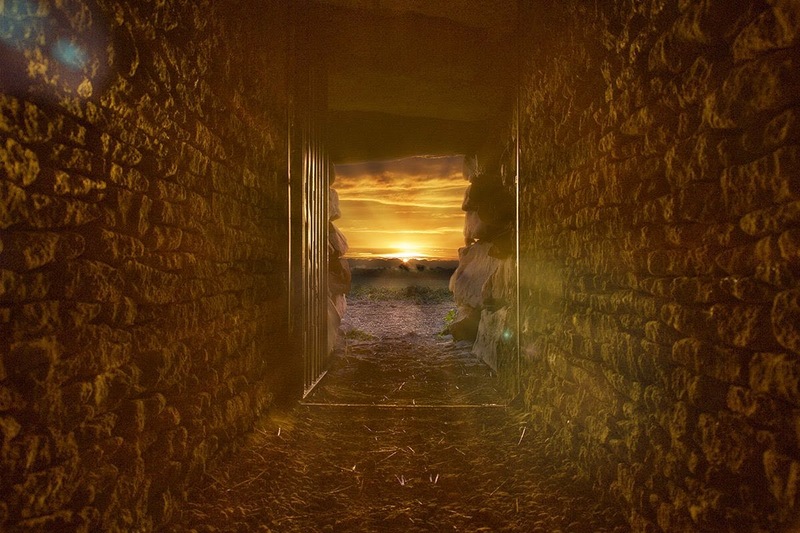 The new Long Barrow at All Cannings is designed to align to the midwinter solstitial sunrise, with the rising sun flooding the passageway with light. 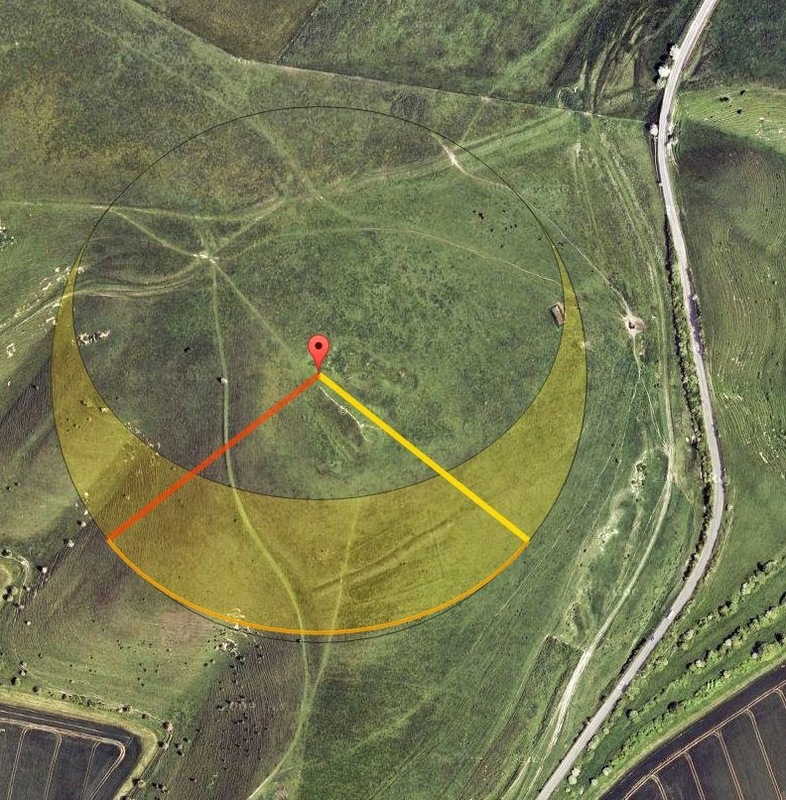 Click any to enlarge - and follow link to SunCalc to play with the alignments. Click to embiggen - there are more in the collection as well. 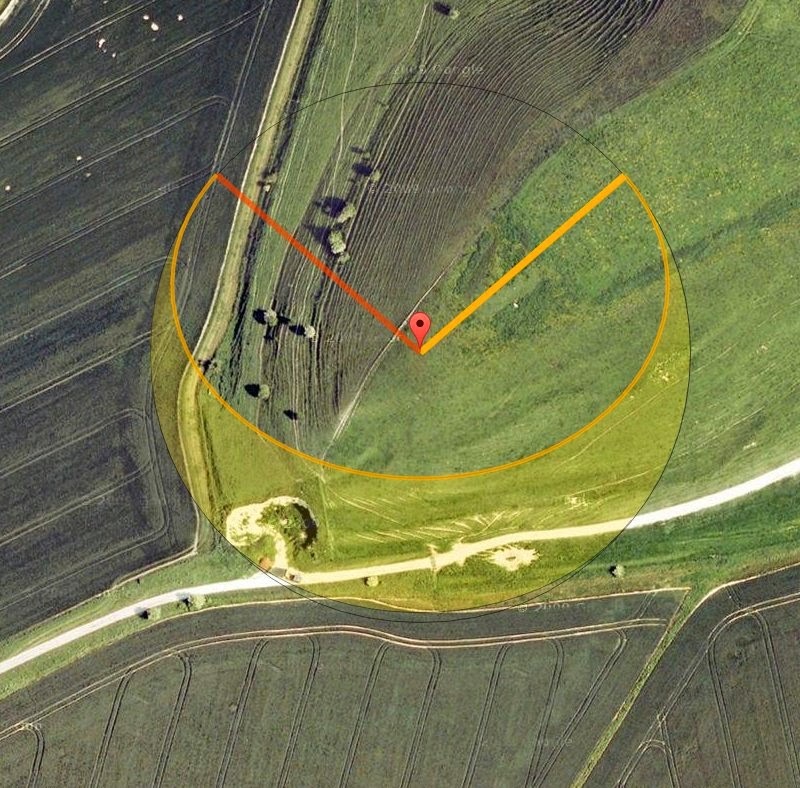 The top photo is intriguing as there is a line of chalk mounds outside stones 10 and 11, and they don't seem to match the track repairs that are recorded by Sharpe in hies aerial photos - http://www.sarsen.org/2013/07/first-balloon-aerial-photo-of.html - which would be of a similar date. on Monday 22nd December 2014 (approximately 08:09 hrs). must vacate the area by 09.30.
that access might result ¡n severe damage to the Monument. Henry David Thoreau (1817-1862), U.S. philosopher, author, naturalist. A Week on the Concord and Merrimack Rivers (1849), in The Writings of Henry David Thoreau, vol. 1, p. 367, Houghton Mifflin (1906). These are some special stones. There's something here, it's wonderful, it's very cool. There's just something elemental about it. There's something that where you got to feel like it should always be there. But it comes out of something basic. Yeah, I could come here every day, you know I would come here and just kind of sit, if it wasn't like a monument, I'd sit on one of these rocks and I'd just watch the sun rise. It would really cleanse your mind. The New Visitor Centre, a hole in the ground and a £14million win. The old map resource at http://maps.nls.uk/os/6inch-england-and-wales/ is a fantastic way to waste hours. The ability to overlay old maps with modern aerial views is great. 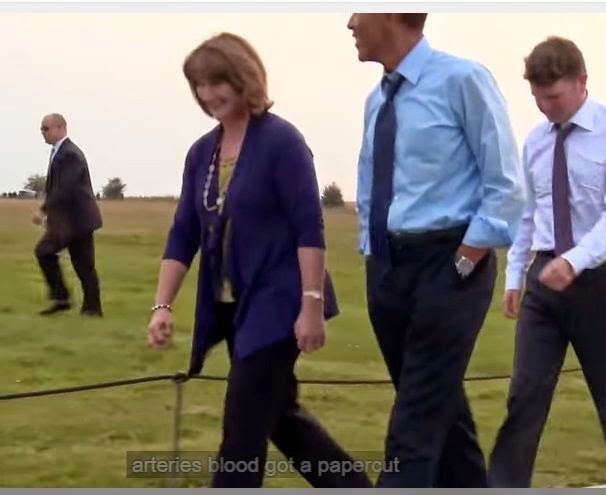 As an example here is a shot of the area to the east of the New Visitor Centre at Stonehenge. Apart from hoping they properly capped the well that was under the well house and is now underneath the gift shop I was intrigued by the mysterious "post" near Fargo Plantation. 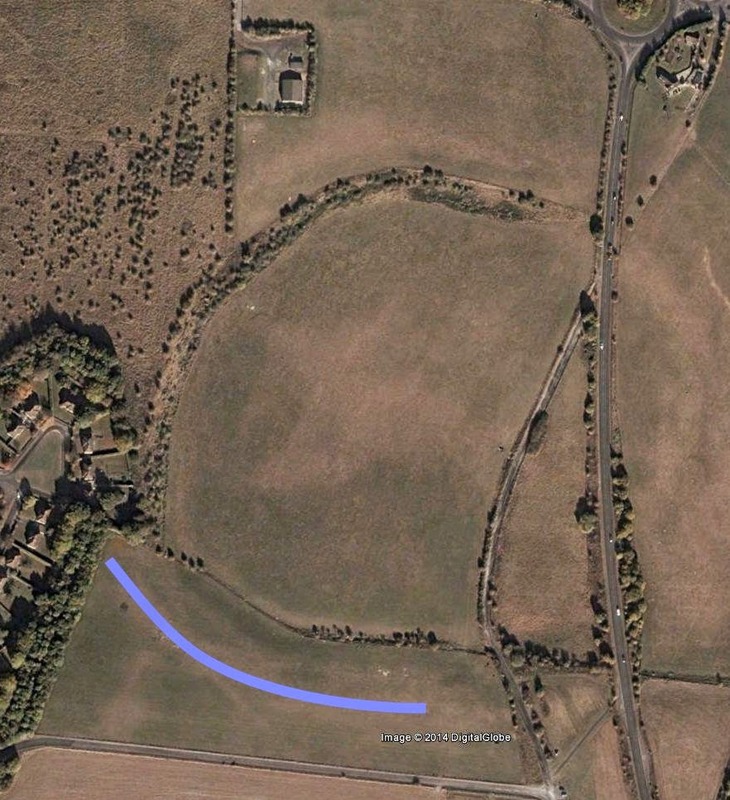 Many hours of thought and it struck me that as the field is known as "The Gallops" it is probably just a finishing post or turn marker for training race horses. The field is owned by the Druids Lodge estate. Druid's Lodge was famous for training racehorses and infamous for the Druid's Lodge Confederacy and the betting coup at the 1913 Derby. Their secretly trained horse Aboyeur won, after a Stewards Inquiry, at 100-1, and they had been backing it all over the country in small amounts for months so as not to frightened the odds makers. £14 million at todays money is rumoured to be their winnings. 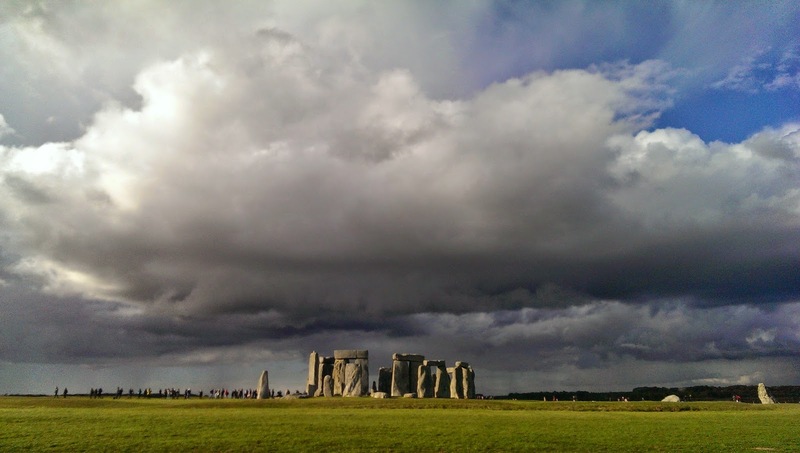 Mike Pitts - Operation Stonehenge Review. 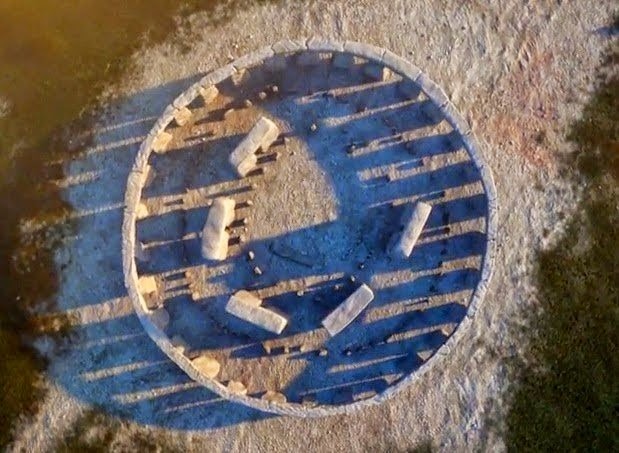 An excellent summary, not only of the problems with the recent TV program but also of the state of Stonehenge research. 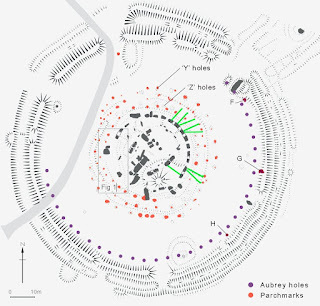 Parchmark plan from English Heritage as published on http://www.bbc.co.uk/news/uk-england-wiltshire-28967538 - Colour enhanced for clarity. Click any to enlarge. In July 2013 various parchmarks were showing up at Stonehenge - as reported on this blog and professionally at http://antiquity.ac.uk/ant/088/ant0880733.htm The most noticeable were the stone hole marks between Stones 16 and 21. But the Z and Y holes were also showing up well. Walking round them I noticed there seemed to be extra marks that were also in a circular pattern. They were jokingly called the Daw Holes as it seemed they were a product of my overheated imagination. But over the next week as the weather changed some became more noticeable and then they faded. As they were fading Mark Bowden and Sharon Souter from EH GPS mapped them as best we could. Some were more certain than others, some were quite doubtful but until the next spell of similar weather the plan above is as accurate as we will get of the phenomenon. 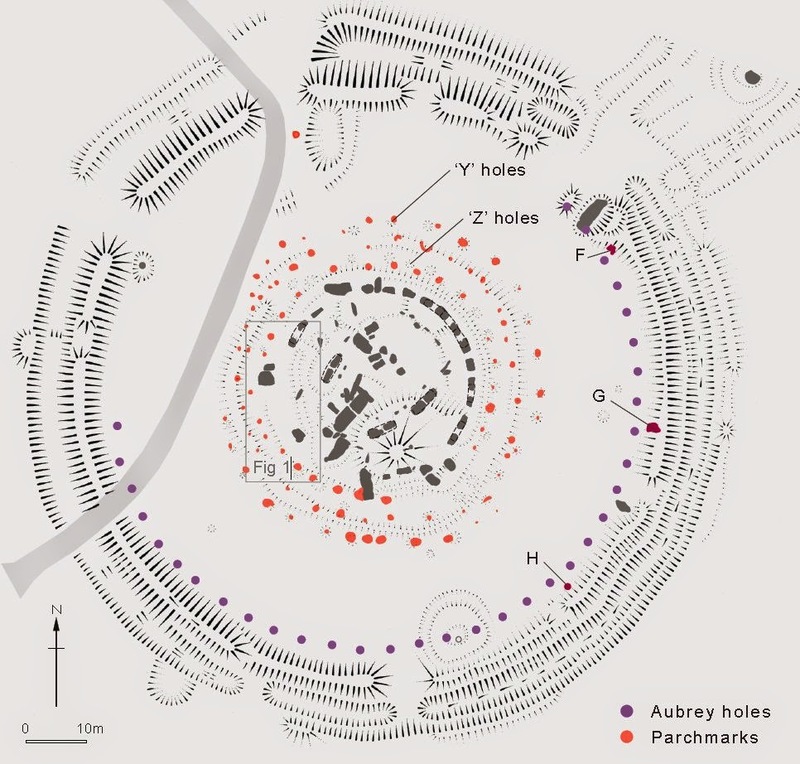 It was noticeable that the Z and Y holes that had been excavated and those that hadn't appeared the same, and that the other parch marks were very similar to the known holes. 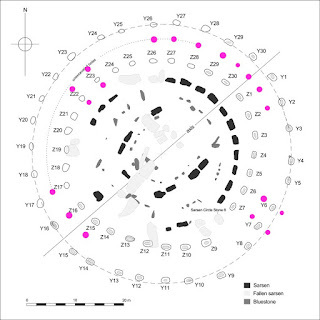 I realised that the marks might have more modern causes, the most obvious being the Fire Garden for the Olympics, but they didn't seem to coincide with any installations so I am certain that was not a cause. Apart from the poles for Stone 7 they don't noticeably line up with the marks but I would treat any marks near where the poles were installed with scepticism. 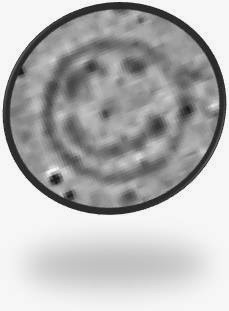 But this still leaves a lot of unexplained marks forming a rough ring equidistant between the Z and Y holes. 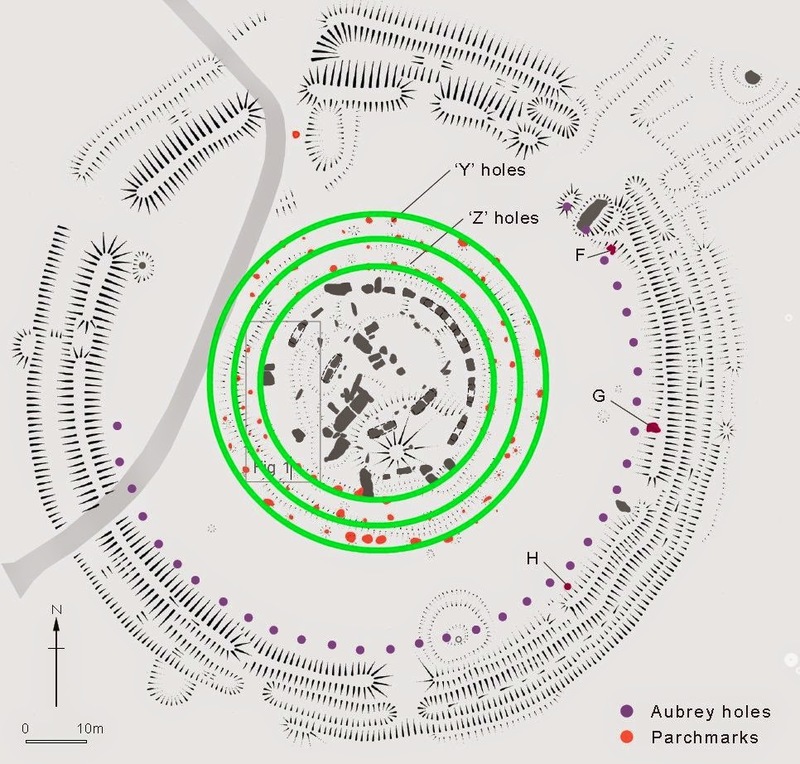 The wobble in the ring of Y holes (outer ring of marks) in the south east corner might be explained by reassigning Y6, Y7 and Y8 to the middle "Daw hole" ring and noting the faint marks further out as possible Y holes that were missed by Hawley. 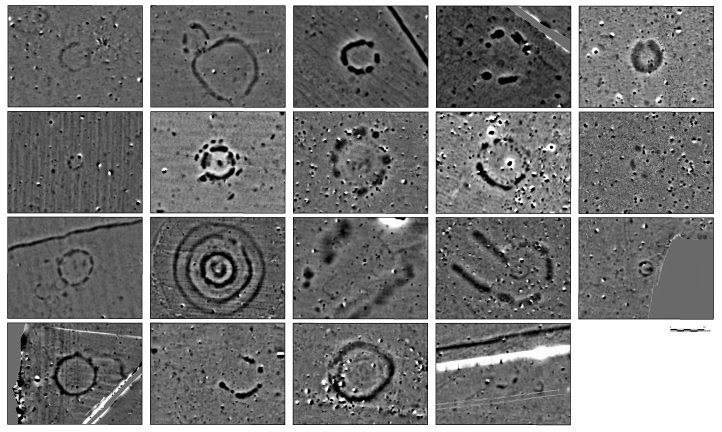 What the marks show and from when is a new mystery of Stonehenge.